The entrance to Studio West has been brought to life with a colourful wall mural, painted by Telstra Employees and students, as part of SYC’s Corporate Volunteering Program. Students from the alternative learning program worked with Telstra to design the image and colour scheme, incorporating the theme of growth and transformation, reflecting the journey of many young students. Paint was generously provided by Wattyl and an array of colours were blended on the day to create a vibrant montage spreading over the 15 metre wall. Studio West Program co-ordinator, Courtney Purdie, said the mural project was a fantastic opportunity for the students, not only as an artistic outlet, but a chance to meet and work with Telstra staff, enhancing their confidence in communicating with unfamiliar adults. The students had fun working on the mural concept, painting and being able to make their personal mark in their environment. “A lot of the young people are working towards gaining employment, and the opportunity to converse with adults employed by a large organisation such as Telstra in the structured setting was very beneficial. 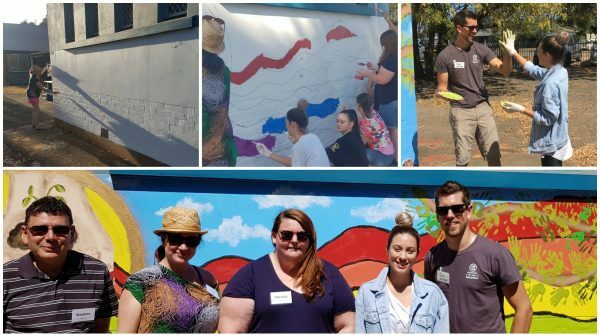 “Even the young people who chose not to paint on the day love seeing the mural on their way in to class every day and are grateful that the Telstra team helped to brighten our facilities. SYC’s Head of Strategic Partnerships, Lauren Dimas, says corporate volunteering is allowing SYC to have a greater connection with organisations and the community, and it’s also expanding outcomes for clients. 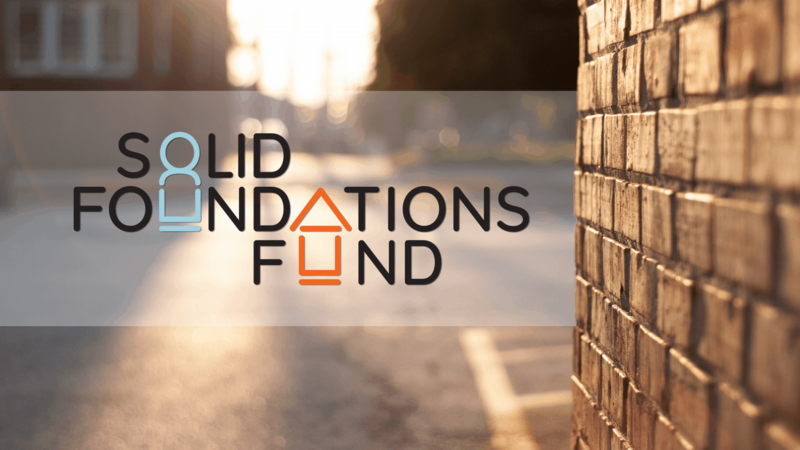 We are seeing a greater number of organisations interested in joining our Corporate Volunteering Program, as it’s a great way to engage staff, showcase organisational values, and make a meaningful contribution in the community,” Lauren explained. “By inviting volunteers to come into SYC’s workplace, it is educating them about the social issues affecting the people we work with and ultimately they become advocates for our clients and the work we are doing in the community. “Further to this, it’s allowing SYC to incorporate initiatives outside of our structured program delivery, including extra mentoring and wellbeing initiatives, the Telstra mural project is a great example of this.